Also, for people who think VOOM had the best music in the series, the included VOOM soundtrack is different from every other VOOM soundtrack that was officially released or could be extracted from the Saturn or PC versions of the game. It's the true original scratchy, low quality arcade VOOM music! Normally this might be bad but since all the other soundtracks have the better quality versions, this is a more valuable release. PS2 VOOM has the option for the original scratchy music too, though I don't know if it can be extracted directly from the disc. My only piece of VO loot. even though this isnt voot, this is what I got...so far. VOOM: Temjin, Viper II, Dorkas. VO4: Temjin, Aph J/C, Myzr Delta. Here are a couple of books from the Perfect Guide series by Softbank for Dreamcast VOOT. I found these recently while going through some of my old boxes. 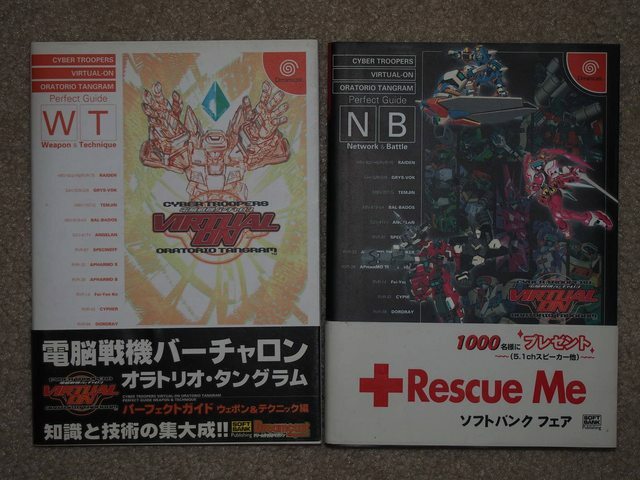 IIRC I bought them while visiting Japan in 2000. This isn't VOOT related, but pretty cool nonetheless. It's a special-edition Dreamcast controller only available through the now-defunct Dream Point Bank. If you are not familiar with the DPB, basically Japanese DC games included points that could be redeemed for special-edition Dreamcast items. When the DPB was still around I only had accumulated a few points, so I only ever ordered a few items (IIRC only a couple VMUs). A friend of mine helped me register for the DPB and mailed the items to me in the US. 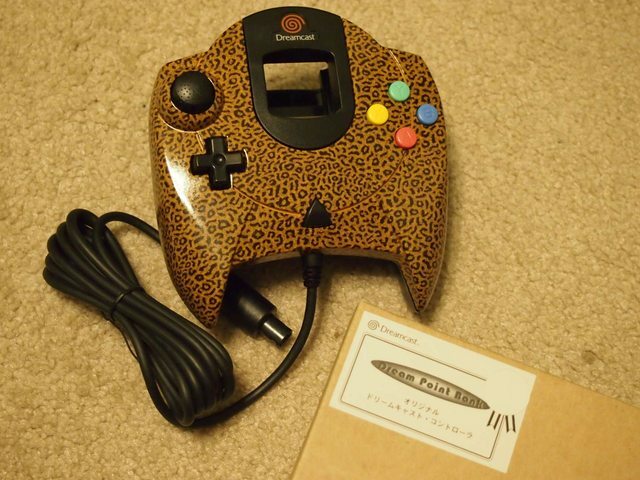 I bought this controller later from Yahoo! Japan Auctions. If someone was looking for some cheap sticks, they just missed it! This is the cheapest I have ever seen for twinsticks with shipping. $8.60 + $70 shipping direct from Japn, that's a bit less than 60€ which is a pretty fair price. I'm still looking for a Pair of Model 3 Boards and VOOT Arcade sticks (I don't even need the grips!). I've been tempted to pickup a Saturn controller to use those but I fear they just wont hold up. You stole that sword from the girl's doodoo Gundam in Gundam Seed. That was a really popular gundam model. It's the only gundam I own, I am too lazy to assemble models. Porcupine wrote: You stole that sword from the girl's doodoo Gundam in Gundam Seed. That was a really popular gundam model. It's the only gundam I own, I am too lazy to assemble models. Close, but it was from the old 1/100 Red Astray, which was piloted by a guy. 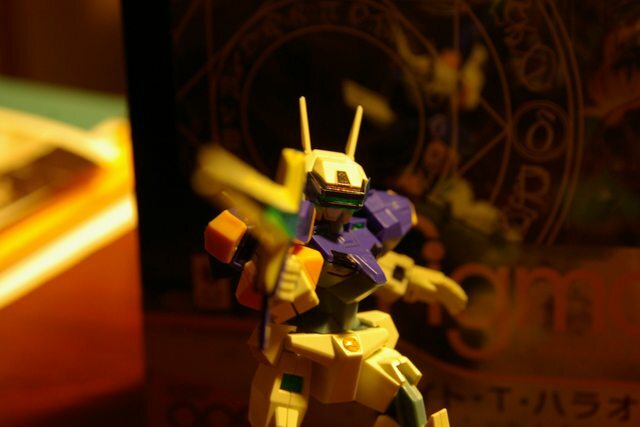 I always thought it was funny that the most popular gundam toy from Seed was only a doodoo Gundam in the show. The poor, nice girls died so fast they were just cannon fodder. I guess that's what happens if you are an unskilled pilot! By the way, we learned/confirmed from the Japanese VO Force players, that the second Secret color of all VRs which was discovered through editing, is indeed the Secret color of the VRs in the Arcade version of VO Force (which are all different from the Secret color in the console version). 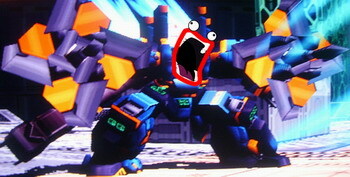 I had theorized this earlier but could not confirm it as I could never find any pictures of arcade version Force VRs. Anyway, what this means is that the really cool color of Kagekiyo and Myzr I mentioned earlier are official colors so it is still possible to get them through toys, or paint them yourself and have them be recognized by others. Kagekiyo's second Secret like I mentioned earlier is like a better Shadow color, stolen I think from Lelouch's robots in Code Geass. Zaarock uploaded some videos of it. Myzr's second Secret color is stolen I think from all gundams in Gundam Seed it is gray like how they all are before they turn on their colors.